Disclosure: This post is sponsored by The Motherhood and Champions for Kids. How is it the end of July? 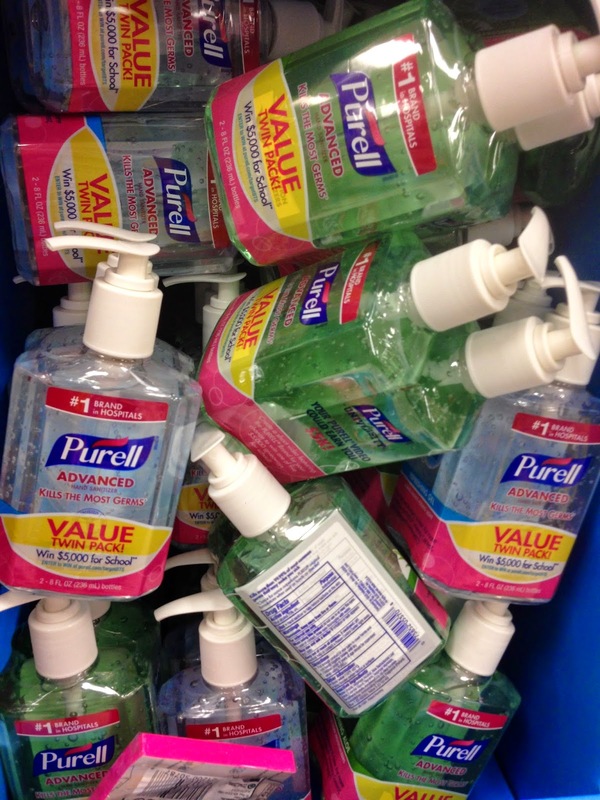 As I look ahead to the next few precious weeks, it's impossible to avoid the Back-to-School rush. Once we moved, we had to register Chica at her new school. 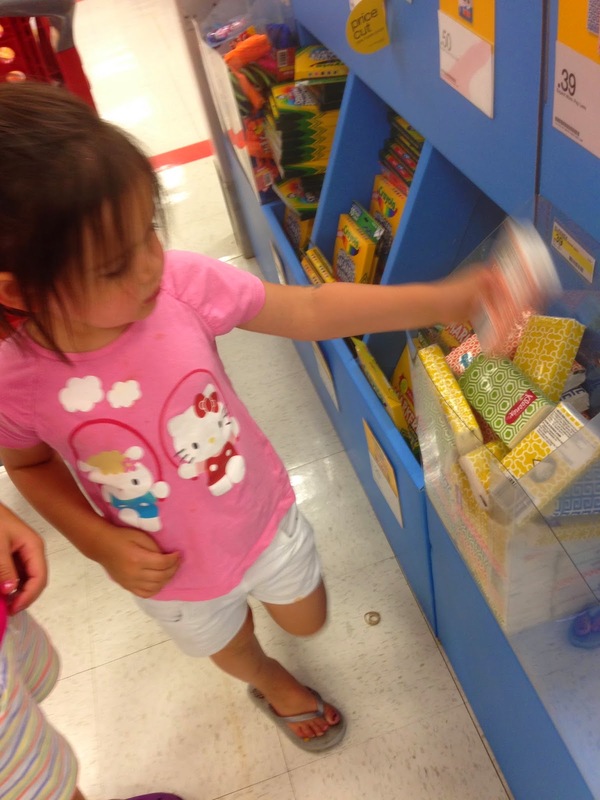 That very day, we were given her classroom supplies list, the items we need to send Chica to school with on the first day of school. I love that schools do this, enabling families to participate in supporting their child's classroom by providing important supplies. 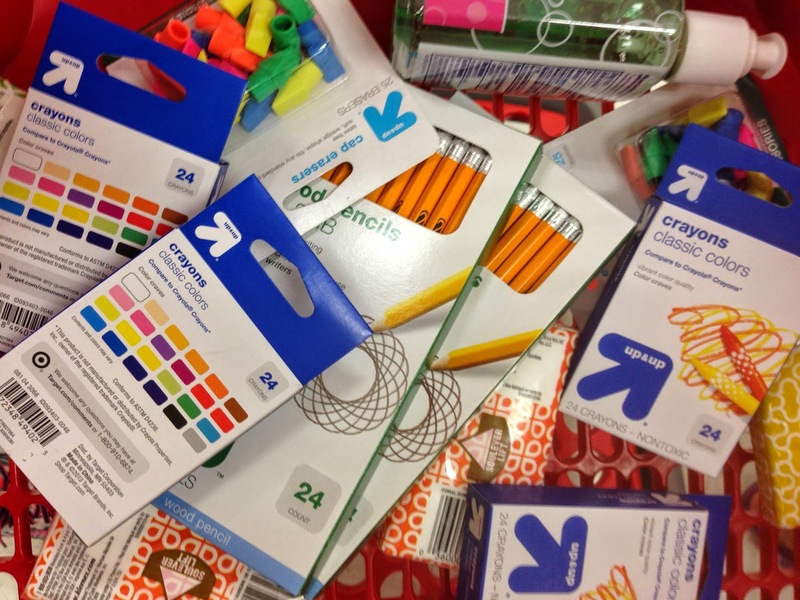 I am reminded that there are many families who struggle to meet the requests for back-to-school items. I am reminded that many families struggle to meet their day-to-day needs as well. In addition, schools are receiving less and less funding, making it more difficult for our hardworking teachers to have adequate supplies on hand to educate our children. So I was grateful that despite being Summer, I had the opportunity to have a Teachable Moment morning with Chica and Bug. 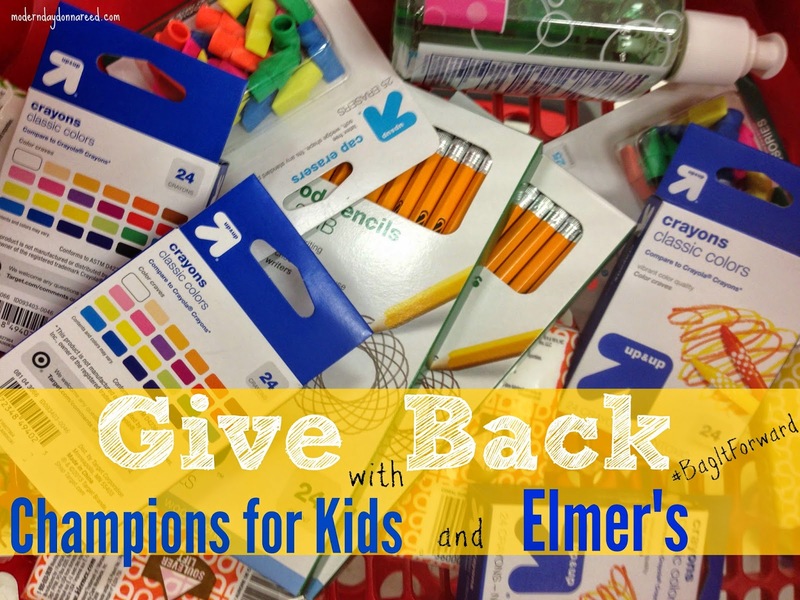 Champions for Kids is partnering with Elmer’s to “Bag it Forward,” collecting and donating school supplies to kids in need in our communities! Many children lack the basic resources they need to thrive in the classroom, and teachers often spend their own money on school supplies. 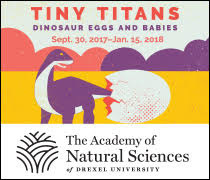 First, I am so grateful that there are amazing programs like this in existence. That our schools, that our families, do not have to struggle alone. Second, I am grateful to be given the chance to talk about real world issues with my girls during a recent trip to Target. We chatted about why school is important, and the very real struggles that families in our own community have with providing for their needs. It warmed my heart that my girls jumped at the idea that the best way to help is to GIVE: to our communities, to our schools. 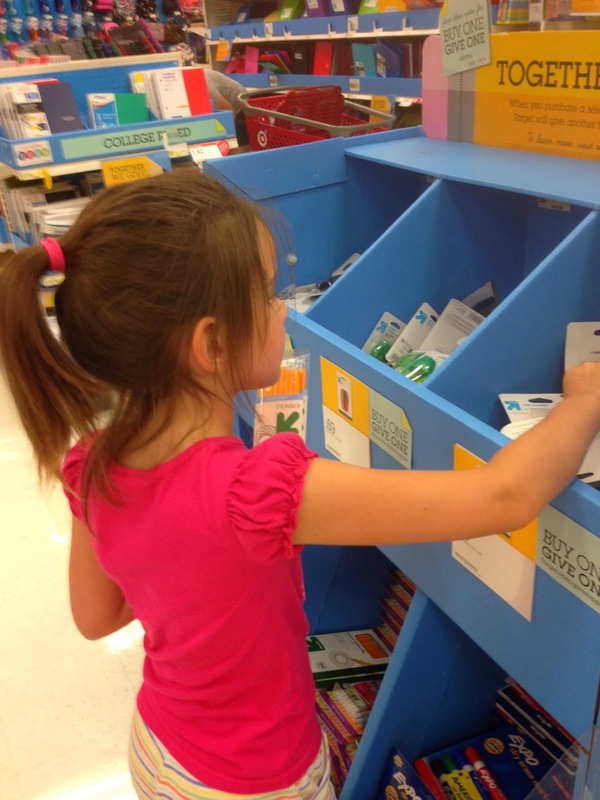 So, we walked around Target and found our way to the Back-to-School section. We looked through the supplies and found the things a classroom could really benefit from having. 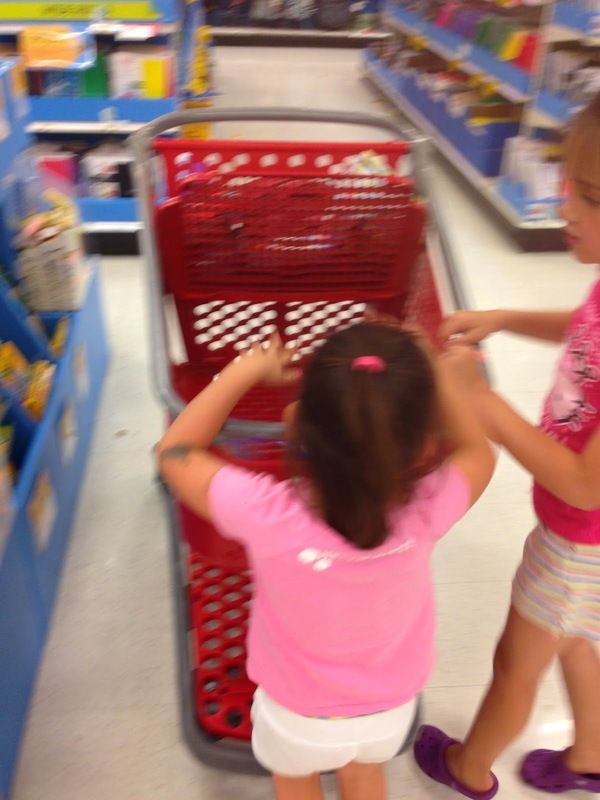 The girls joyfully took the supplies and piled them into our cart. 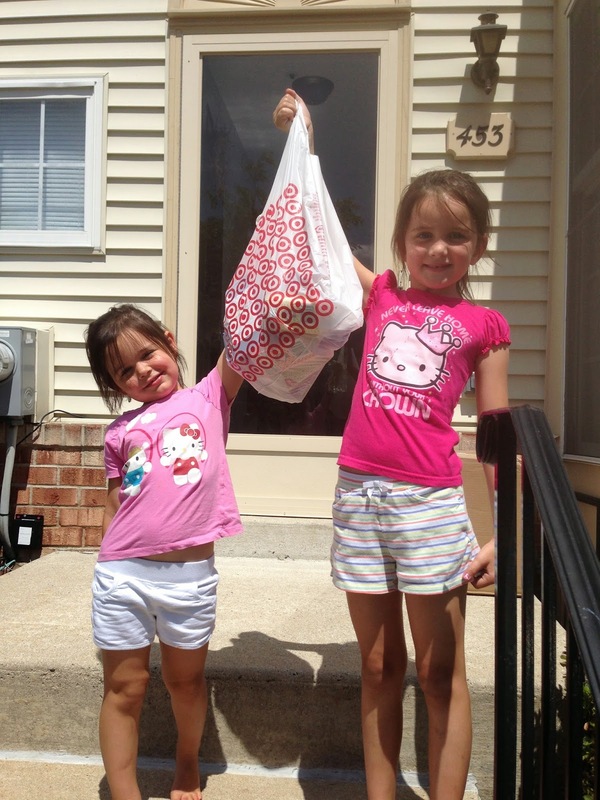 We plan to share our #BagItForward purchases with a classroom in need in our community. 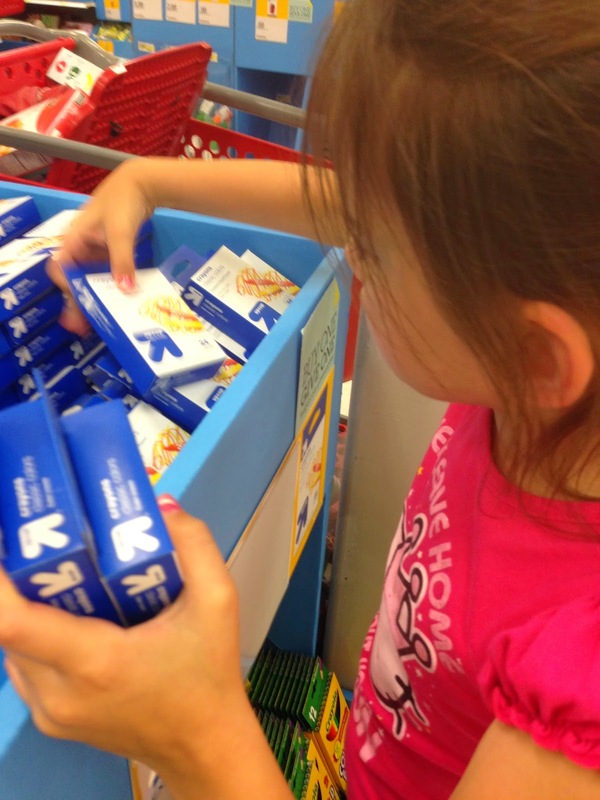 Learn how you can GIVE BACK during Back-to-School at: http://championsforkids.org/elmers/. Connect with Champions For Kids on Online, Twitter and Facebook. 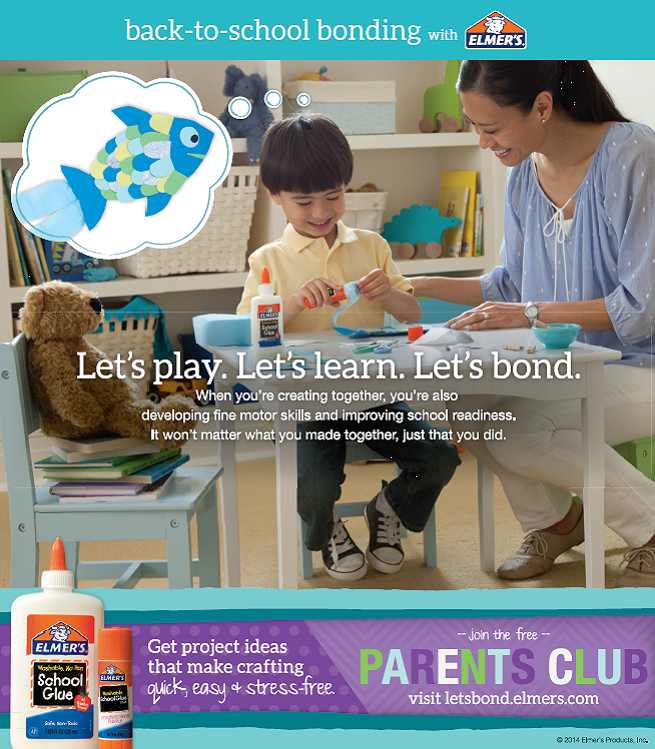 Connect with Elmer's Online, Twitter and Facebook.